All discussions about foldable phones start and end with Samsung. The reason for this is that the Korean manufacturer was the first to bring flexible OLED displays to the forefront, making it the most advanced technology for this type of device. While other Chinese companies such as Lenovo, Huawei, OPPO and Xiaomi have shown interest in developing foldable devices lately, it seems that Samsung may be the first to launch such a product on the market. According to CNBC, DJ Koh, CEO of Samsung, said in an interview that "it is time to deliver" when it comes to foldable screen phones. It seems that user surveys finally say there could be a market for these products, but we do not know exactly how it will look and which will be the reason someone would buy such a product, writes Go4it. The company is now working on forging a message explaining to users the benefits of a foldable device compared to a normal one or a tablet. First of all, a foldable phone should when "closed" offer all the features of a regular smartphone, while the "opening" gives access to more, or better displayed content. Also, if the user experience when the product is open is the same as the one you get from a tablet, then there is no reason to buy a foldable phone at the expense of a product that customers already have. DJ Koh has suggested that the product will be present in one way or another at the Samsung Developer Conference in November, but that does not mean we'll get a release date with the presentation. But he admitted that the development of a foldable phone was complicated and that the Samsung engineers almost overcame all the problems he had encountered. 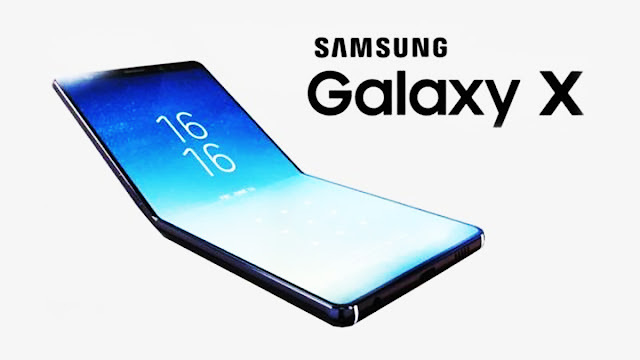 With a little luck, the Galaxy S10 will not be the only Samsung-powered device in the spring of next year, and it's going to debut next to the long-awaited Galaxy X with a foldable screen.